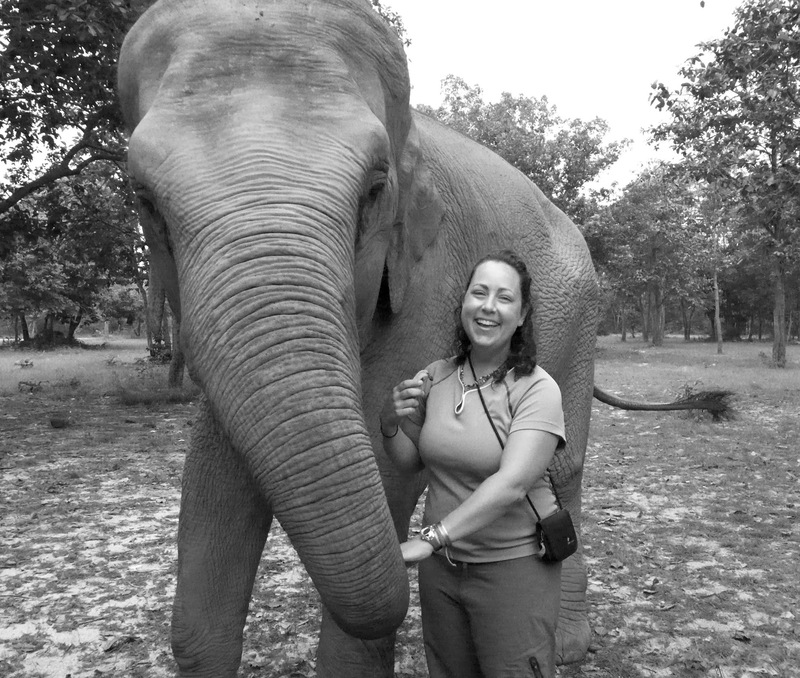 I got to walk an elephant @ Phnom Tamao Wildlife Rescue Center! 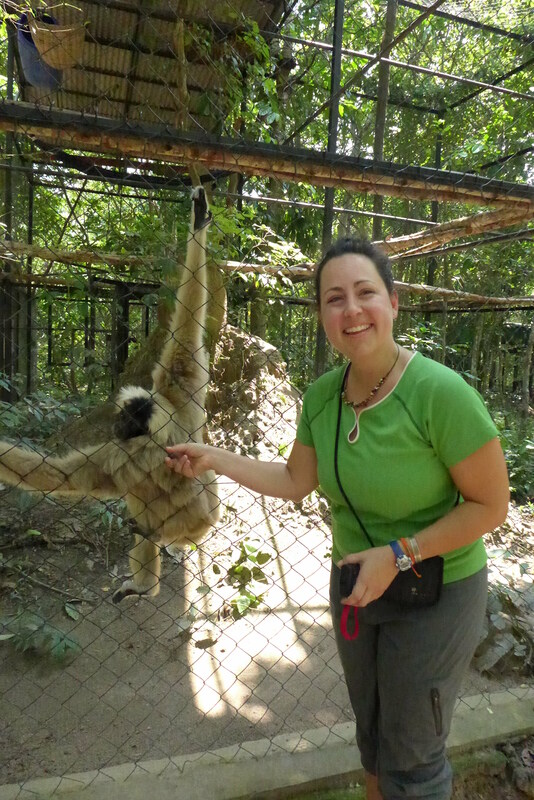 This is me & Lucky, walking hand in trunk through the Cambodian forest! The people and sights of Phnom Penh demanded that we linger longer than Kate & I had originally planned. Since we weren’t going to make it to Koh Rong or even Kampot, we decided to do something special… meet an elephant celebrity! We did our research and found a responsible place where the animals were treated well and NO ONE RIDES THE ELEPHANTS. Just an hour drive south of PP is the Phnom Tamao Wildlife Rescue Center and the permanent residence of Lucky the elephant. The center began as the national zoo and there were many war-torn years when the animals survived solely because the locals fed the animals in their cages. In 2001, the Wildlife Alliance partnered with the zoo and brought in more animals confiscated from the illegal wildlife trade. This darling Gibbon was raised with humans but kept on a chain that damaged one of her feet. She came right to the fence when she heard her favorite keeper’s voice and she would throw you a concerned look over her shoulder if you stopped massaging her back. 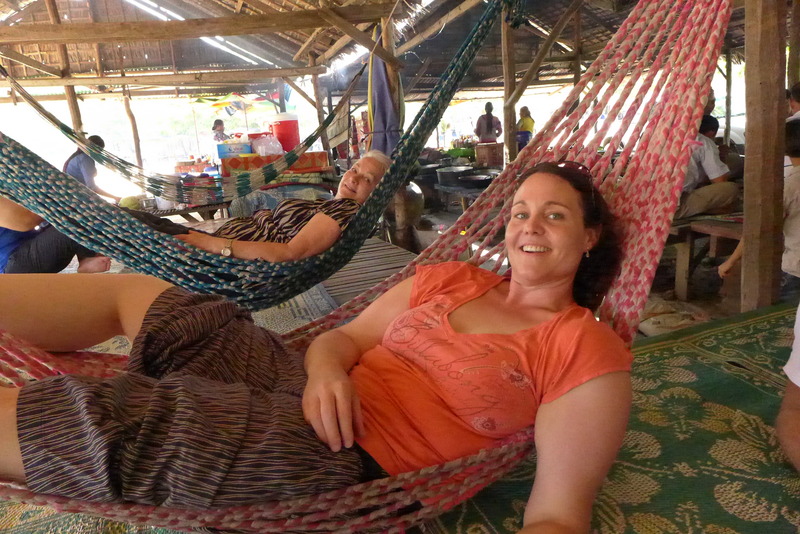 The Cambodian heat was intense (per usual) so we were ready for a lunch break and a rest in a hammock. There were many local families with picnic lunches and small children who were entertained when Kate stuck her foot in the rice and I had a hammock malfunction. Tourists can be silly. Children can be adorable. This darling girl just got a cool bath at the zoo picnic area! Some things are the same all around the world. In my next post, Lucky the elephant paints me a T-shirt!